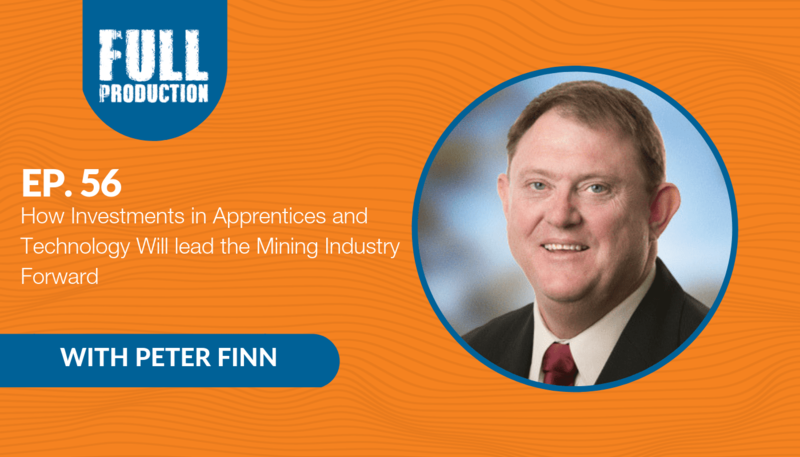 On a recent episode of Full Production, Nick Fardell gave a substantial portion of his time to discuss some of the top issues that the mining community is facing in Western Australia. Nick is a man who pulls no punches, and his headstrong attitude has finally delivered him into the world of politics as the Senate candidate for The Nationals WA. It’s a position where his tenacity is welcomed and will be used to change things for the better. Nick knows mining. Although he has successfully worked within, and intimately knows the mining industry, this new role has seen him travel over 32,000 kilometres on an extensive campaign tour in order to hear the otherwise unheard voices of the people. It has given him a greater perspective on what truly needs to be tackled, and the tools he needs in order to instigate positive, forward-thinking changes. As a former apprentice himself, Nick can see the value in such programs. Not only does it benefit the individual by growing their hands-on experience, but it also gets the more senior workers some much-needed assistance. The greatest industry potential lies with the miners of the future, and having tangible opportunities for self-development is a much-needed investment within the industry. Speaking from his experience, you need to recognise and engage with opportunities when they’re presented to you, particularly if you want to broaden your prospects. “If you’re presented with an opportunity, take it.” This is the mindset that has placed Nick in the successful position he is in today. Even if you’re a mining veteran, you should serve your own interests and further develop your skills. “You’ve got to be trying to upskill yourself all the time, so when you come down the other side of it – you’ve got more skills than you started with.” Nick is referring to the waves of prosperity within the industry. If the market hits a dip, you can use your newly acquired skills to follow other lucrative avenues, such as going into another industry or pursuing a promotion. Nick argues that these types of opportunities should be easily available, and that industry leaders should strive to consistently provide further education, skill-building courses and apprenticeships. Across the board, we’re left in no doubt that automation is going to be the next big technological advancement within mining. Nick’s opinion firmly sits at embracing new innovative industrial technologies. He sees that it can help create future opportunities, improve safety and productivity, increase job possibilities, and reshape the mining industry, ideally for the better. Some outmoded GMs, who tend to have a fixed mindset, quite often don’t have the capacity to see or understand the potential in switching onto new ideas, concepts or technology. Contrary to what they may think, those who invest in an innovative idea at the onset, tend to be rewarded the most. To hear the full conversation click here.